Every camper van conversion that we undertake at Rolling Homes is bespoke. If you already have a van of your own, be it new or pre-loved, we are happy to discuss your conversion options. If you don't want a traditional campervan conversion layout, we can design anything to suit your needs and requirements. Want a place to store your motorbike? Want seatbelts for your dogs? Or want a solar panel added to your roof? We'll sort it. We pride ourselves on satisfaction and rely almost entirely on word of mouth marketing from satisfied clients. We're so passionate about campervan conversions and the quality of our work that we strongly believe you will be 100% satisfied as well. We will work with you to find the best, most suitable van for you and your personal needs or requirements. Together we will help you follow your dreams to create your perfect camper. Each camper conversion is made to order and bespoke for every customer. We pride ourselves on ensuring all campervan conversions are finished to a highest standard using the best materials and reliable parts. 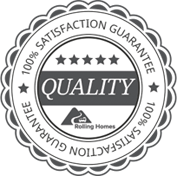 As a family run business we consider every customer and their campervan to be a part of the Rolling Homes family. We take great care and attention to each order before, during and after the conversion process to ensure 100% satisfaction guarantee. Premium Rolling Home camper van hire - set yourself free on a budget! Can’t decide if you would like to get into the camper van lifestyle? Why not try before you buy? Why not hire one of our stunning VW Transporter T6 camper vans for a weekend or week to truly get the camper van bug. We have a range of payment options to suit everyone’s needs. Whether its finance options from leading companies with competitive rates, or giving you our best possible price on part exchanging your existing vehicle.